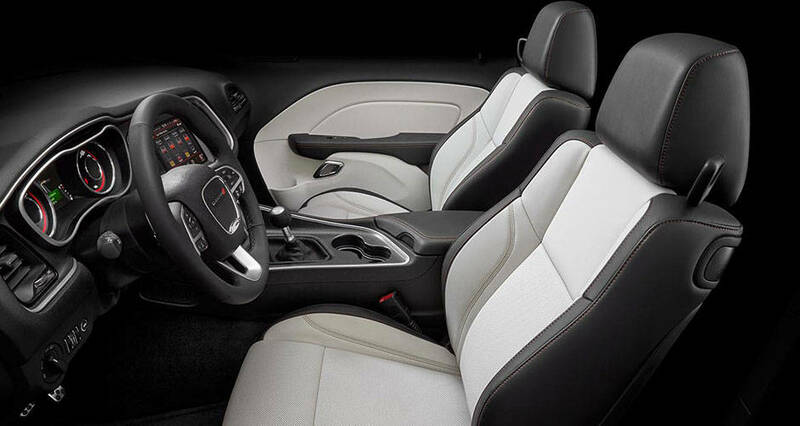 The perfect blend of brain and brawn, the 2016 Dodge Challenger packs a punch on the road while offering maximum comfort for driver and passengers. The name of the game is control when it comes to the new Challenger, with fully customizable seats, unrivaled handling and responsiveness as well as engine, transmission, and steering settings chosen by you. With five-passenger seating, the Challenger consistently offers the largest interior volume of any vehicle in its class, and dual-zone temperature controls ensure everyone stays comfortable. Get ready to impress with the Challenger’s iconic hood design and make it uniquely yours when you choose an available stripe package option. 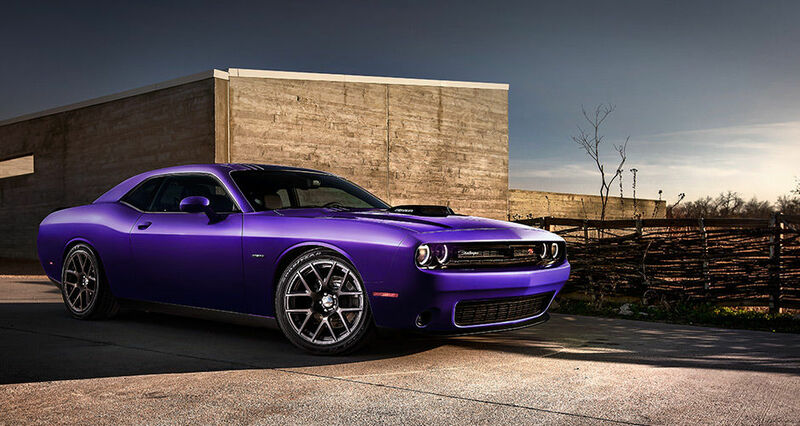 Turn heads and control the road wherever you go with the new 2016 Dodge Challenger. Drop by Tempe Chrysler Jeep Dodge Ram today to learn more about the power and prestige of the 2016 Dodge Challenger in Tempe, AZ! Take your time and browse our inventory of over 5000 new and used vehicles and check out our money-saving specials. Conveniently located, we proudly serve the surrounding cities of Phoenix, Scottsdale, and Mesa, AZ and we look forward to helping you drive your dream car off the lot today! From the moment you see the Dodge Challenger’s iconic body style, engine-mounted air intakes, and classic body stripes, you will know you’re about to drive a legend. Quad LED fog lamps light your way as powerful aluminum wheels bring attitude and muscle wherever you go. Inside, an impressive digital display comes standard and features state-of-the-art technology that includes a lap timer and 0-60 time. Easily stay connected without letting your attention divert from the road with available Uconnect® 8.4 NAV with 8.4-inch touchscreen, and personalize your experience with downloadable apps through Uconnect® Access. Opt for one of the available sound groups to get up to 18 speakers and an amplifier with as many as 900-watts to blast your favorite tunes on SiriusXM® or Pandora®. Despite its fun reputation, Challenger is just as stacked on the safety side. Impeccable road control and accident prevention features like Electronic Stability Control, Hill Start Assist, and All-Speed Traction Control help keep you on the road and in control. Let us help you find the right model 2016 Dodge Challenger for sale in Tempe, AZ! With your choice of available engines, starting with the powerful 3.6L Pentastar® V6 engine and culminating in the supercharged 6.2L HEMI® SRT Hellcat V8, it’s no wonder this year’s Dodge Challenger has been referred to as the most powerful muscle car ever. Own the road and reach peak levels of power and capability with the Challenger’s high-performance transmission, available with the Class-Exclusive TorqueFlite® eight-speed automatic transmission option. See how the Challenger can offer you greater control, superior fuel efficiency and enhanced balance, all while giving you a smooth ride and immediate responsiveness behind the wheel with high-performance and sport-tuned suspension options. Effortlessly connect with the outside world via Uconnect® to get access to mobile apps, navigation, sports, weather, and more on the available 5-inch touchscreen display. 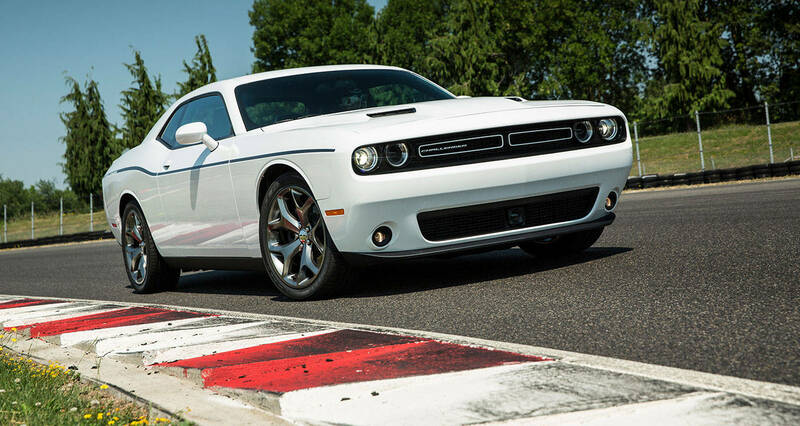 The 2016 Dodge Challenger is best appreciated through a hands-on experience, so swing by Tempe Chrysler Jeep Dodge Ram today to take a test drive in this iconic powerhouse.